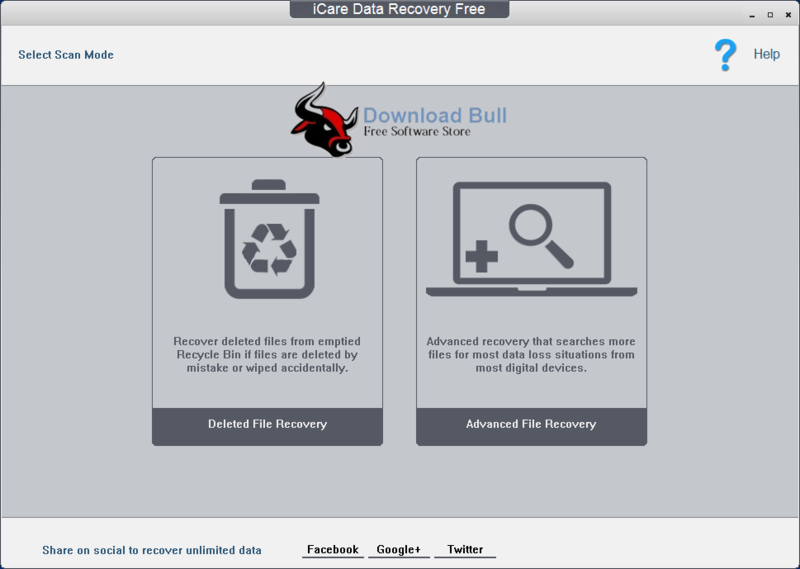 Download standalone setup of iCare Data Recovery Free 7.9.2 for Windows 32-bit and 64-bit. iCare Data Recovery has advanced algorithms for recovering lost data effectively. Losing important data is the most annoying situation. There are many cases which cause data loss, i.e. accidental file deletion, data corruption, virus, drive format, etc. When you lose data, the first thing that comes to mind is how to get the data back. iCare Data Recovery provides an effective solution for recovering data with just a few clicks. With easily understandable environment you don’t require any technical skills to get back your data. The tool is really lightweight and consumes a moderate amount of system resources. The scanning process may take some time, depending on the size of the drive you are scanning. One of the most amazing features of this tool is that it also supports portable storage devices which let your recover data from removable hard drives, flash drives, pen drives, and memory cards. iCare Data Recovery can recover numerous file types including media files (Audio, Video, Images), text documents (DOC, DOCX, PPT, PPTX, XLS, XLSX, HTM, HTML, PDF) and many other formats. Moreover, it can also recover Outlook PST emails and Outlook Express documents. There are two different recovery modes allow you to scan according to the situation. It supports all the common file systems like FAT, FAT32, EXFAT, and NTFS. Have a look at the technical details of iCare Data Recovery, before downloader. The below link will start downloader iCare Data Recovery Free 7.9.2 for both x86 and x64 architecture. It is a powerful data recovery tool for effective data recovery and different scanning modes for any kind of data.